This is a rectangular AEI Electric Motors porcelain sign. This particular AEI Electric Motors sign is predominantly red with a white spotlight on a silver motor in the center. 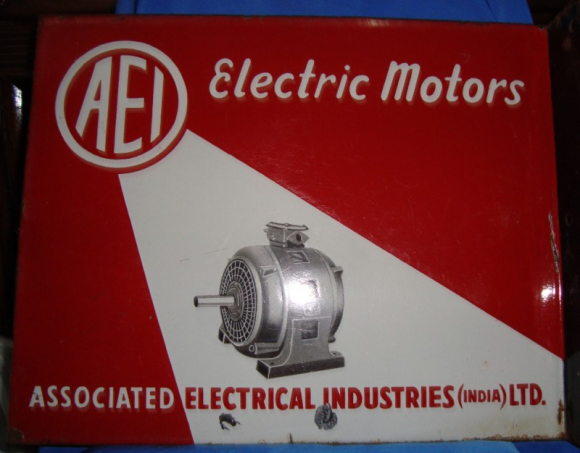 It reads, “AEI Electric Motors, Associated Electrical Industries (India) Ltd.”.